Apple Clips: a new sticking point? Apple quietly announced a video camera app today with a characteristically generic name: Clips. What does this mean? Clips seems to be a bridge between the iOS platform and video-based social media apps. You shoot once with Clips and publish to third party apps (Instagram, Facebook, Twitter, etc.). You can annotate videos, put stickers on them, like what you can do on Snapchat. Also thrown in there are a few unique features like smart recipient suggestions based on facial recognition and live text-to-speech captions with custom styles. This seems to address the social butterfly’s problem of having to shoot and post multiple times across different apps. Since 2008, the iPhone has been sitting at the center of Apple’s ecosystem. Apple’s strategy has always been to foster an ecosystem that is frictionless within, difficult to replicate, and disruptive to get out. A big part of that strategy is to continuously add iOS-exclusive sticking points to keep its users happy. One of iPhone users’ hard-to-part features is iMessage. But over the past few years it failed to capture the absolute explosion of casual video communication in the media space. iMessage is slowly becoming detached from where high-bandwidth digital communication is headed, which poses a direct concern to the stick point of iOS ecosystems. I think Clips comes at an interesting time because while iMessage is missing out, Snapchat-esque media are getting a huge tail wind from major social platforms who adopted this format. Clips could become another sticking point between iOS and third party apps if I could use it to shoot once and post hip videos and pictures to multiple social media. That’d be a major advantage of iOS as a platform vs other competitors. And as much as people laugh about it, this appeals directly to emerging Millenials and Gen Z power users. At the same time, it feels like a big experiment on a new communication format for Apple. 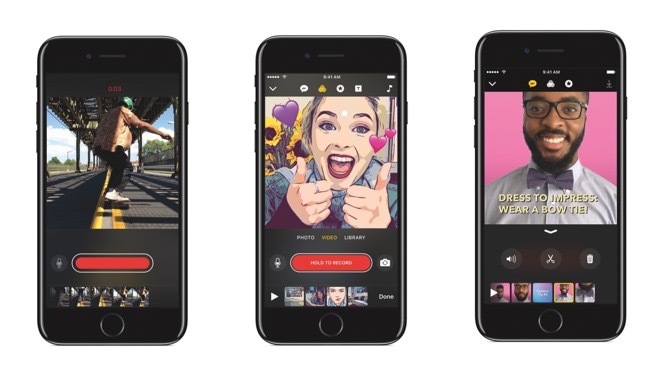 If young users receive the app well, Apple might add it to iMessage as a built-in feature, further validating the trend of video-first communication that Snapchat and other companies are betting on. It doesn’t take a genius to figure out what this week’s most important announcements are. Apple, Google, and Microsoft, the three towering tech giants dropped a series of gadgets that are well positioned to change the future of PC. There is a clear trend among them: each is designed for a special subset of professionals, which is reflective of the industry as a whole: traditional PC’s are fading from average households and becoming specialized professional tools.